SANTA ANA, CA. – (May 15, 2017) – Yokohama-sponsored Chelsea FC has done it again, capturing the English Premier League (EPL) championship for the second time in three years. It’s the first title under Yokohama, which is the Official Shirt Sponsor of Chelsea FC. Guided by first-year manager Antonio Conte and world-class players such as Diego Costa, Eden Hazard, Cesc Fabregas and PFA Player of the Year N’Golo Kante, Chelsea earned the championship with a 1-0 victory over EPL rival West Brom. Established in 1905, the Chelsea Football Club is one of the Premier League’s most prestigious clubs. 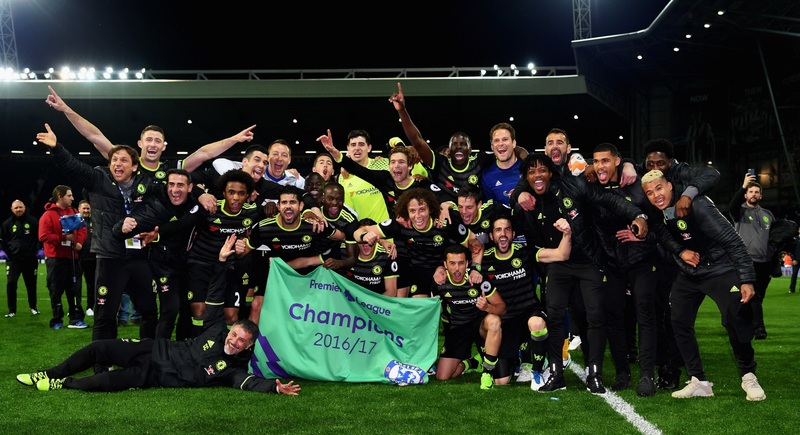 Chelsea completed the 2016‒2017 season by capturing its sixth English championship. It has won the FA Cup seven times, the European Cup Winners’ Cup twice, and is the only U.K. club to win all three of the UEFA's three major club competitions, lifting the UEFA Champions League in 2012 and the UEFA Europa League a year later. The current first team includes many world-class players and is led by manager Antonio Conte, one of the football world’s top coaches. For more information visit https://www.chelseafc.com/.